The day of reckoning is near as the closed alpha rituals for Psyonix’s asymmetrical combat title, Nosgoth have been completed. Having wrapped up the closed alpha, Nosgoth is now preparing for the next phase of its transformation, the move to closed beta and the introduction of fresh meat. Starting tomorrow, February 27th, developer Psyonix will begin inviting more players to taste victory or suffer horrific defeat as Nosgoth opens its doors to additional testing. During closed beta, Psyonix has planned on adding four new characters (two for each side) along with new maps, weapons, abilities and skins. New gameplay modes are also being added, including the new siege mode which Psyonix will debut alongside the closed beta launch. Finally, as a small reminder that Nosgoth is indeed still a part of the Legacy of Kain universe, Psyonix is working with Daniel Cabuco, former art lead on Legacy of Kain: Soul Reaver in order to create classic LoC skins for the game’s vampire characters. 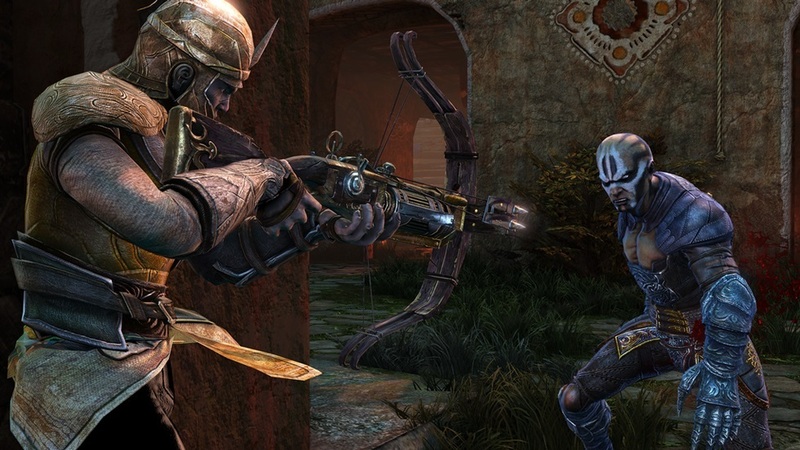 Interested players can signup for the closed beta on the official Nosgoth site here. Have you guys not heard of an NDA which you agreed to when signing up for closed beta. Was there one? lol. Hell if I remember when I signed up for it MONTHS ago. Game is amazing. Its rather balanced to be honest, but alot of it does come down to good team work. Stay together live together, go alone die alone. Game does require some basic intelligence to play. You can’t go rambo like you could on other games, you’ll have a pitiful death. I enjoy killing stragglers as a vampire. Ahh i wish i could try it. If you don’t have a proper team set up for this you get destroyed. Vamps are very op. Vamps have great solo strength but get decimated if a human team works together, Humans are devastating as a coordinated team but die horribly as a solo. Seems a symptom of each side and not OP on either one, just complimenting strengths and weaknesses. Proper teams are pretty much a needed given although rare. Hey there, that really shouldn’t have happened. What was your forum ID? I can investigate for you and get you back in. I got an email for it. lol. I just gotta be able to log onto my SE account so I can do all the junk I gotta do but I haven’t been able to so I had to put in a stupid ticket because it kept saying an account matching my email doesn’t exist when it freaking does lol. So waiting to hear back on that. I hope to be able to get on tomorrow when it starts lol. Fingers crossed. Update: In the end I was able to log in through the European portal, wtf lol. Good to go now lol. The North American Portal is hosted on the same servers as the EU portal according to the login page for Linking accounts.